Home » blog » Elsi and Calippo’s litter is born! Elsi and Calippo’s litter is born! Yesterday at noon Elsi’s litter was born. We expected a larger litter this time, but nevertheless Elsi kind of surprised us with her seven kittens! 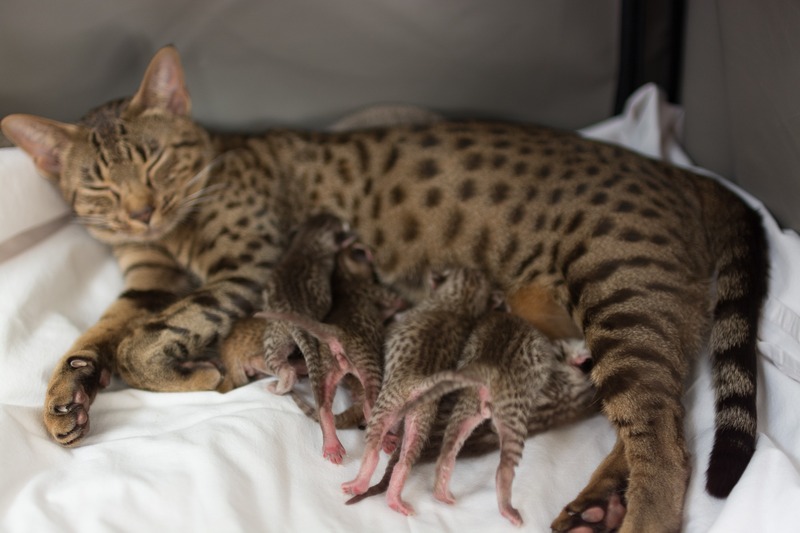 Looks like there are two chocolate silver spotted girls, and five boys: three chocolate spotted and two chocolate silver spotted ones. Elsi and her seven babies are doing fine.